Perfect country property! 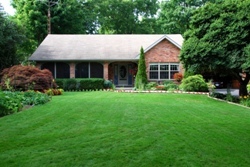 1 beautifully landscaped and natural acre. As you enter your property to your sanctuary the peace and quite will surround you! See "Listing" section for more details. Deciding to sell or buy a home is a big step. To make sure it's a step in the right direction, choose the most qualified team to handle your real estate needs: Steve Szucs, Broker with RE/Max Erie Shores Realty Inc has more than thirty years of professional real estate experience to provide you, the client, with the very best service. Affiliation with the global RE/MAX network provides Steve with multiple competitive advantages in serving your real estate needs. From national television advertising to personal advertising controlled by Associates, RE/MAX enjoys brand-name recognition worldwide. So, take a step in the right direction. Contact Steve today.